Campbell, J. R. and Charles Prepolec, Editors. 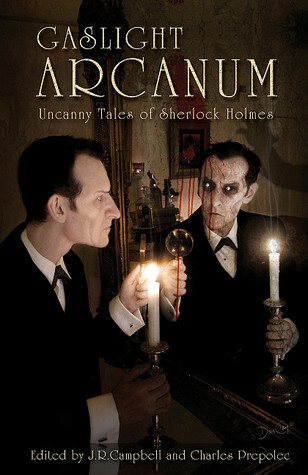 Gaslight Arcanum: Uncanny Tales of Sherlock Holmes. Calgary: Edge SF&F Publishing, 2011. You know, just to be safe. Gaslight Arcanum is, actually, the third anthology in a series edited by Campbell and Prepolec, its predecessors being Gaslight Grimoire (2008) and Gaslight Grotesque (2010). I hope to review each of them eventually. I chose Arcanum, however, both because it is the most recent, and–unleashing my inner nine year-old–because it has the absolute creepiest cover…. The editors start out on a high note with Stephen Volk’s “The Comfort of the Seine,” a Sherlock Holmes “origins” story which is juuuusssst plausible enough that some readers may make it a part of their personal head canons. It begins with the “if you’re reading this I must be dead” trope, but then immediately leaps into much more original territory. Here the reader sees Sherlock Holmes as an intense twenty year-old student with scientific leanings, accompanying a group of classmates to Paris to explore that city’s art scene. Despite his relationship to Vernet, the young Sherlock is not all that interested in art, but who doesn’t want to leave his books for Paris? Besides, his friends need him–or rather, his fluency in French. While his classmates roam the galleries, he roams the city, becoming infatuated with a young flower-seller. When she turns up missing–and then dead–he is completely shattered. It takes C. Auguste Dupin to show him the way out of his overwhelming grief. *** And if you’re currently thinking, “well, that sounds predictable,” you would be wrong. I truly cannot say enough good things about this story–the dark opulence of the author’s style, its characterizations, its evocation of mid 19th-century France, and most particularly Volk’s Dupin, a man who cross-crosses the edges of genius and madness so adroitly that you’ll change your mind about him more than once before the story is over. “Comfort” is not precisely a horror story in the way that its companions are, but it is both suspenseful and sad–and of all of these, I think, the most likely to haunt you when Arcanum goes back to your bookshelf. Christopher Fowler’s “The Adventure of Lucifer’s Footprints” is a more traditional tale. It’s in Watson’s voice and recounts a strange case the detective and his Boswell investigated in Devon in February of 1888. They’re there at the urgent behest of Lucy Woodham, who with her father, Crimean war hero General Sir Henry Woodham, has recently moved to the family’s run-down ancestral home, Belstowe Grange. Belstowe Downs is an isolated spot, and its villagers swear that Satan himself sends a pack of lost souls to carry off area wrong-doers–sinners such as Woodham’s groom, attacked and killed during a storm, his body found surrounded by hoofprints which seem to have appeared out of nowhere. The solution–at least as Watson sees it–puts a rift between himself and his skeptical friend which he fears will never completely heal. “Footprints” is a very competent tale which uses several favorite Conan Doyle tropes. It’s a little clipped, style-wise, and Holmes and Watson don’t engage in their usual banter. Its main difficulty, however, most likely lies in the fact that it immediately follows Volk’s tour de force. Readers should still find it entertaining. I will confess to at first being a bit put out with “The Deadly Sin of Sherlock Holmes.” Despite my desire to be less dogmatic about AU stories, there are a very few Canon facts about which I find it difficult to be flexible, and when I saw this adventure is set in May of 1891, well, I was just not having it.† It turns out, however, that author Tom English has a very good reason for placing his story so close to the fatal event at Reichenbach (which, of course, I cannot reveal). 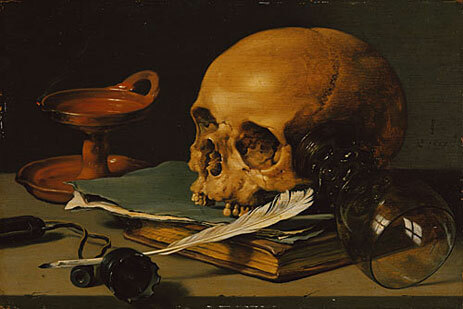 “Deadly Sin” is a creepy tale about a Codex which inspires its readers to murder, and is shot through with witty exchanges between Holmes, Watson, and their clients–a group of monks who’ve travelled to London from Rome. The Canon references fly fast and furious, and in the end, even the Hiatus is accounted for–after a fashion. 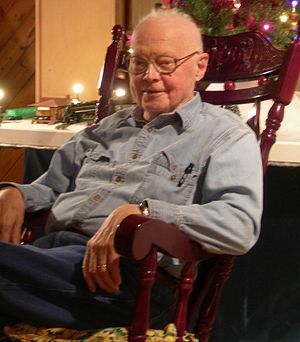 William Meikle is the well-known author of hundreds (Really! Hundreds!) 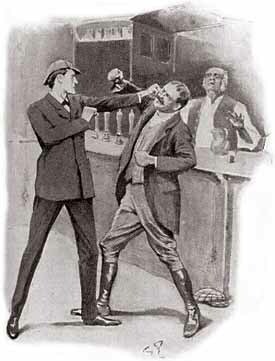 of stories in the supernatural and science fiction genres–and he’s a great fan of what is typically known as “pulp.” In “The Color that Came to Chiswick,” he sets Holmes and Watson up against a lethal green substance found in a brewery vat. It’s so hard so say more without spoiling the whole thing, but this particular adventure would probably be Holmes’ own favorite as it involves science–and caustic chemicals. It did not escape from my refrigerator, I swear! As I stated above, all but one of the stories in this anthology are original contributions. That exception is “From the Tree of Time,” by Fred Saberhagen, who passed away in 2007. Mr. Saberhagen was a well-known science fiction and fantasy author, and many Sherlockians are well-acquainted with his fondness for teaming the Great Detective with Count Dracula. This is a lively, tightly-written story, in which the Count remembers a time in which he served as Holmes’ own consultant in a blackmail case gone wrong. Like Lady Hilda in “The Adventure of the Second Stain,” the client (whom Dracula chivalrously refuses to name) was a bit “sprightly” before her marriage, and now wishes to hide the evidence. Or maybe the body. If she could find it, that is. The two men in her study are the only ones in the world who can tell her if she stands to lose her marriage–or her freedom. The denouement is both surprising and satisfying, making “Tree” my “second favorite” in the collection. Classic nineteenth-century horror makes another appearance in the next story. 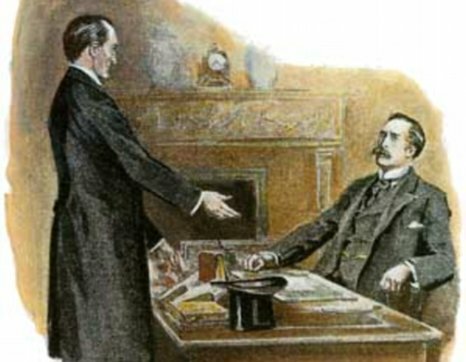 In “The Adventure of the Empty House,” Holmes tells Watson, “about that chasm. I had no serious difficulty in getting out of it, for the very simple reason that I never was in it.” But what if that weren’t exactly true? What if he had fallen into the Aare River–and Watson wasn’t the first one on the scene? In “The Executioner,” Lawrence C. Connolly reveals what really happened at that fatal encounter, and why Holmes need three years to sort himself out afterward. It’s a fascinating story which takes an abrupt, dark turn at the end–and as someone who likes abrupt, dark turns, I enjoyed it greatly. That being said, I didn’t really share Holmes’ doubts in the final paragraphs, but you, as better, more sensitive people, may find yourselves in agreement. If I were to give a prize for the most horrific story in this collection, Simon Kurt Unsworth’s “A Country Death” would win the blue ribbon, hands down. Again, it’s difficult to review a short story without giving the whole thing away, and Unsworth works so hard to hide the main facts from you that it feels wrong to provide even the slightest hint. Let’s just say that it is extremely well-written…and so disturbing that–if you wish to enjoy sweet dreams–it should not be the last thing you read before you go to bed. Many pasticheurs like to explore what cases Sherlock Holmes may have taken on for his brother, The British Government–more familiarly known, of course, as Mycroft. In Kenneth Cockle’s “Sherlock Holmes and the Great Game,” the detective and his Boswell find themselves in Canada, investigating what appears to be a particularly dangerous Russian move in her proxy war with Britain. It’s soon revealed as a maneuver in an actual war–between the true source of Holmes’ powers and another enemy, just as ancient and just as powerful. I actually found the first explanation very clever, but I am still a little conflicted about the origins of the proffered nemesis. Holmes is right–Watson does have his work cut out for him when he goes to lay this one before the public. Perhaps Russians would be a more plausible explanation, after all. From the Canadian north, Holmes and Watson next travel to the darkest depths of the ocean. In “Sherlock Holmes and the Diving Bell,” by Simon Clark, Holmes summons his erstwhile flatmate with one of his cryptic telegrams: “Watson. Come at once. That which cannot be. Is.” Or is it? Between the horrific account of a salvage ship disaster, the weird twin sisters, and our heroes’ claustrophobic trip down to a five year-old tomb, Clark serves up an atmospheric tale with subtle Canon overtones in which Holmes’ deductive ability ultimately proves a double-edged sword. In “The Greatest Mystery,” Paul Kane commits one of the most common of the venial Sherlockian sins–well, I hope it’s common, as I’ve done it plenty of times myself. 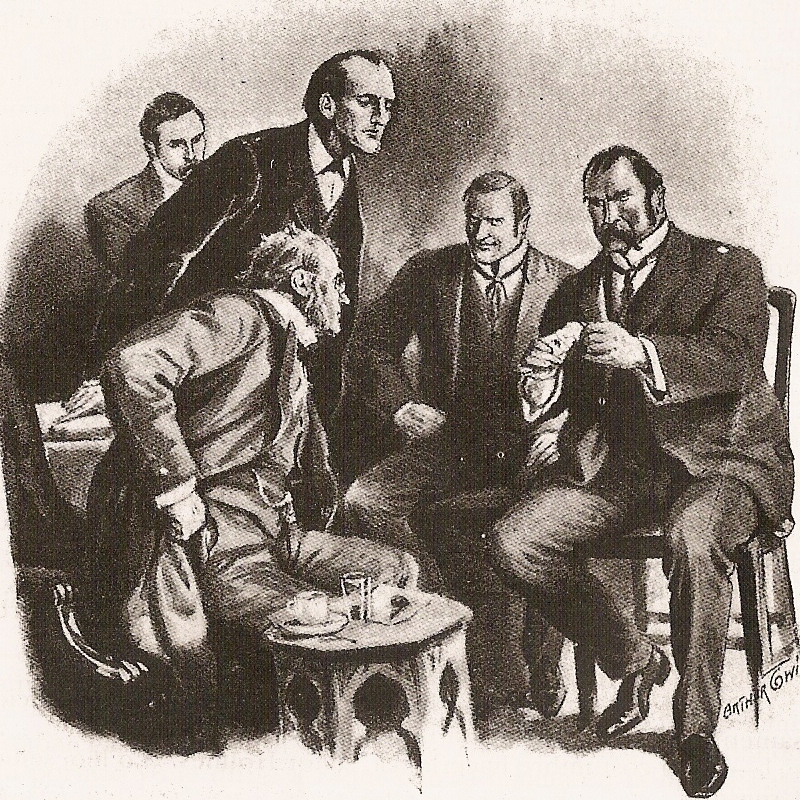 At the the story’s conclusion, Watson recalls (fuzzily, it must be said) that, while unraveling the case of the Six Napoleons, his friend mused: “I am just contemplating the one mystery I cannot solve: Death itself.” As happens so many times (to me, at least), Watson has inserted a Granada moment into the Canon. I have to suspect that it was done purposefully, as it is a superb quote and fits the story perfectly. While most “Holmes confronts the supernatural” adventures depict the detective either finding a rational explanation for the spooky doings, or being shaken in his logical boots, not many show him using the spirit realm to his advantage. 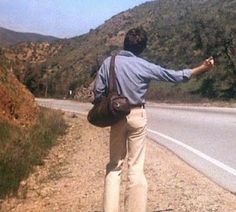 Here he does just that, as he and Watson seek the mastermind behind a series of seemingly motiveless murder-suicides. Tony Kane’s “The House of Blood” is unique in this collection, because it features a 21st century Sherlock Holmes. 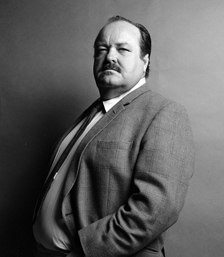 No, not either of those–this Holmes was still born circa 1854, but (as we know) he’s immortal, and he’s trying to avoid the sometimes oppressive memories of London by traveling the world…and solving crimes.†† In this episode…er, story, he’s found himself in Las Vegas, helping the police investigate a series of murders in which recent casino winners have been found dead–and drained of their blood. Vampires? Or something else? The solution is quite creative, but the best part of this entertaining offering is watching Holmes navigate modern-day Vegas–with his usual competence, and a wry sense of humor. The final story, Kim Newman’s “The Adventure of the Six Maledictions,” I’d already read, as part of Newman’s own later collection, Moriarty: Hound of the D’Urbervilles. A complex riff on an actual poem, J. Milton Hayes’ “The Green Eye of the Little Yellow God,” it’s told in Colonel Sebastian Moran’s irresistible–if irreverent–voice. If Volk begins Arcanum with melancholy and (possibly) madness, Newman brings it to a breathtaking end with humor–and Moriarty’s own special brand of psychopathology. Even if you’ve read it before, don’t skip it–with an author like Kim Newman, there’s always something new to discover. Besides, it’s funny, and once you finish, you won’t have to leave the lights on and waste electricity. The editors are thoughtful like that. As we have discussed here before, a good many Sherlockians are not in favor of pitting Holmes against the supernatural. Not even Conan Doyle, who loved a good “creeper” would go that far. Others have no problem watching him face the uncanny in all of its many forms. If that’s you–or if you think you’re ready to take the plunge, I can’t recommend Gaslight Arcanum highly enough. Each story is well-written, respectful of the Canon, and there is enough variety in subject matter and style that you are bound to find several stories you’ll particularly enjoy. Our agency may rest “flat-footed upon the ground,” but it’s ok to stand on your tiptoes every once in awhile. Gaslight Arcanum is available through all online booksellers and may also be found in your local brick-and-mortar shop. As far as canonicity goes, those of you looking for traditional cases narrated by Dr. Watson may not see a horror anthology as Canonical in any way. That being said, with the exception of the Granada quote, which I fully believe was intentional, I could find no evidence of Canonical carelessness. *Books about horses, for example. Or written by Judy Blume. If Judy Blume had written a book about ghost horses, I would have reached Nirvana. ***Well, I say “Dupin.” You’ll see. †I may have screeched in the margins a bit. And none too soon. The Clean Police are here. It was, excepting the occasional day of frustration and panic, a wonderfully rewarding experience in which I learned how little sleep I actually require, and the kids learned that clothing can, in fact, be reworn. For weeks. I also discovered what a remarkably patient, supportive, and tolerant husband I have, and how thankful I am that his job provides work clothes. One of the most excellent benefits of writing this book is that, while conducting research, I had the opportunity to read or sample dozens of wonderful Sherlockian or Sherlock Holmes-related books. Through them, I gained a much greater appreciation of how incredibly broad our niche can be, and of what it means to be a “well-read Sherlockian.” There is so much great stuff out there, guys!!!! And I cannot wait to share it with you. I first conceived of this blog as a place to review pastiche, and that’s still going to be its primary focus. However, be prepared for a good deal more non-fiction and Doyleana in the coming year. I have several series I need to catch up on, and there were some review requests which came in during the little hiatus that I will try to fill, although I have no idea when those reviews will appear. If you have a book which you would like me to review, feel free to send a request, via comment, but at this time, I am not really sure that I can promise to meet a particular time frame. Also, please be aware that a review is not a promotional service. Every reviewer walks a tightrope between being fair to the writer and honest with the reader, and in the end, our loyalties must lie with the latter. If you request a review from me, and I feel that, for whatever reason, the book will not appeal to most Sherlock Holmes fans, either due to quality or content, I will not run a piece on it. I have also decided to revamp the “star system.” Most of us, I think, are not static as Sherlockians; we grow and change, both in our knowledge of, and our appreciation for, certain topics. Although I don’t review it here, I am ridiculously obsessed with fanfiction, which has given me a greater appreciation of AU; I have also become more aware of some Canonical debates. At the same time, I realize that many people who read Sherlock Holmes pastiches are looking for continuations of the Canon, Watson-Voice included. Therefore, I am going to review each book with a dual star rating, like the one I used for Margaret Park Bridge’s My Dear Watson. One star will be for general content, story elements, pacing, interest, historical accuracy, etc–the quality of the story itself. The second star will be for Canonical content and accuracy (as far as I can determine). In this way, the reader who is simply looking for a good story and does not care about chronology or who Watson’s wife is will not be dissuaded by a low star rating, while the person who will have a stroke if the jackknife is not in its proper place will be warned off. I think this approach will better serve both writer and reader, as well as saving me hours of hair-pulling angst. I will be starting off the new review season with a look at two series we’ve been following in the blog. An October-esque anthology will follow, along with a new essay collection. After that, who knows? *I am not going to use this blog to promote the book. Because I love you all. However, I will say that we are anticipating that it will be released in January–or (given its size) sometime in the spring. Ok. That’s the last time we let Violet make the book club pick. If you’re a reader, this has happened to you. Most of the time, that’s probably good enough. Your friend knows you’re picky, your writing group is spared a tearburst, and your credit card company really doesn’t care as long as you pay some interest. But if you’re a writer who really wants to know what works and what doesn’t–or, say, a reviewer who has to justify that star-rating, there has to be more. When you’re both, well…. Over the past few years, I’ve read a lot of Sherlock Holmes-related books, pastiche, and unpublished fan fiction. I’ve learned to analyze it, so that I can explain precisely (I hope) what each writer does that either appeals to, or discourages, her audience. Sometimes this is easy to see; sometimes it’s a challenge. Once I began this blog, I got the chance to find out what others look for in a good, non-Doyle story, and I try to incorporate this knowledge into my reviews; after all, it’s not about what I like, necessarily, but what the Sherlockian world wants to read. During the year I’ve been blogging, it came to my attention that there are common ways Sherlockian authors writing for the commercial market either succeed or fail, and I began to wonder if these observations might not be worth sharing. So here they are. Take them for what they’re worth. You may agree, you may disagree–you may have something to add. Whichever camp you fall into–but particularly the last two–I would love to hear from you in the comments. Please note: All examples of stories, errors, misbehavior, etc., are completely fictional, unless otherwise specified. Also, please do not call others out in a negative way in your comments. Let’s get this one out of the way first, shall we? Oh. Where was I? Yes–the bravery of the pasticheur. See, if I write a story, I control it. There are parameters, of course, depending on the genre, but the characters are mine, and they can speak and act as I choose. All the reader knows about them is what I tell (ok, show–it’s “show, don’t tell”) them. Even in a series, I can make some changes, as long as I justify them adequately. Pastiche writers of any type don’t have that freedom. They’re taking on characters and worlds which have existed for decades, if not centuries, and which many of their readers know intimately. There are restrictions. There are guidelines. There is Canon. Every time I type that word…. As I’ve learned through talking to people and reading comments, Sherlockians vary in their devotion to canon. 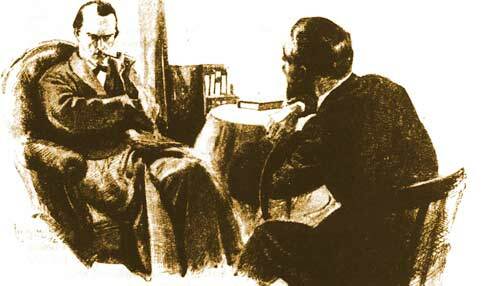 Some want stories to hew so closely to Conan Doyle that they refuse to read anything outside of those 60 stories. Others want their pastiche to be true pastiche–to sound exactly like Watson. Others take what Conan Doyle himself told William Gillette to heart: “You may marry him, murder him, or do anything you like to him.” If Holmes is out there on Mars, bedding vampire women as he takes over a female Moriarty’s empire and cries over Oprah-bot reruns while eating donuts by the case and patting his pet rabbit, John, they don’t care, as long as they like the story. When we’re talking a commercial audience, however, it’s probably safe to assume that most of your potential readers are looking for a Holmes and Watson that they recognize. Many Sherlockians, however, want even more. They want you to get the details right. They really do want the complete 1895 experience. They’ve read the stories a hundred times (or more), and they are quite concerned with trifles. It’s all very well to sputter at this, as some writers do, and point out that Sherlock Holmes is a fictional character, some of the stories have plot holes a foot deep, and, besides, Doyle himself is on record as not caring about continuity. I hate to be the one to inform you, but–guess what? None of that matters. You see, Holmes, Watson, Mrs. Hudson, Lestrade, and everyone else who tromps through those pages have achieved something that most characters never do: at some point, they left the two-dimensional world of print and became real. Vincent Starrett was right when he wrote, “Only the things the heart believes are true.” Thousands of hearts believed in 221B very quickly. They still do. If they woke up in Holmes’ world tomorrow (and some are doubtless disappointed when they do not), they would know their way about. Like it or not, if you want to write a Sherlock Holmes book, these are the people you are courting, so it’s important to take their needs and preferences into account. Sherlockians engaging in a genteel discussion over the Oxford/Cambridge question. If you’re going to write an AU story, though, I have two words for you: prefatory note. Just warn people. If you tell your readers up front that you plan to shamelessly manipulate canon (or ignore it) for your own purposes, then you won’t lose them the second you make Holmes a non-smoker. Seriously. If your readers expect canon (and most do, initially), every instance which violates those expectations pulls them further from your story, until some fling your book against the wall and others vow never to read you again. A simply warning of your intentions will filter out those who would not like your book anyway and appease the majority, who will be willing to play along, as long as they understand what you’re doing. A prefatory note can, in fact, be what takes your readers from thinking you a canonical dunce to believing you a creative genius. All this being said, however, I have seen some very able writers try something else: “vaguing.” Their Holmes and Watson inhabit what is obviously the canonical world. They ride in hansoms, have curried fowl, go to see Sarasate, etc., but there are no direct references to specific events, stories, or dates. There is no way I can do a fact-check and devote a review paragraph to how Mycroft could not possibly have appeared in this story, as the author has specifically set it to predate “The Greek Interpreter,” and since he and Watson are playing chess and eating cake together, Watson cannot be surprised when, five years later, he learns Mycroft exists, unless he’s had far too much brandy between times. As a reviewer, I appreciate the cleverness of someone who can weave their own novel into canon without any loose threads showing. However, I also have no problem with the “vague” approach. If you’re the kind of writer who is not exceptionally detail-oriented, who has a wonderful plot and wants to focus on your puzzle or emotional revelation without having to watch your canonical back, then “vaguing” is for you. Finally, a caution. No matter how careful you are, someone is going to take issue with your canonicity. It is ineluctable. How do you respond? Graciously, my dear. First, check your facts. They could be wrong. I don’t know how many times I have substituted Granada for canon, for example, sometimes in an embarrassingly public manner. On occasion there are varying interpretations, and it can be fun to explore these with your readers. Sometimes, however, the reader will be correct, and you’ve blundered. Relax. It happens. Hopefully the person pointed it out nicely, but even if they didn’t, it’s ok. Tell them how much you appreciate their comment–you don’t know how you could have missed that, and will correct it, etc., etc. Stay polite, even if you have to grit your teeth to do it. Whatever you do, do not fight with this person, or make disparaging comments about him to others–particularly online. Trash him with your spouse or your best friend if you must, but that’s it. Believe me when I say that if you behave unpleasantly online, you will damage your professional reputation. The writing world has a very long memory, and nothing attracts attention and page views like an online meltdown.† After you’ve responded appropriately in public, and spent a few days emoting in private, your next step is to LET IT GO. A canonical error is no reflection on your worth as a person, your potential as a writer, or your love of Sherlock Holmes. Everyone else is not thinking about it anymore; they’ve moved on, and so should you. As a reviewer, I can promise you that even when I point out a canonical error–as is my job, frankly–I still think well of the writer and, usually, of the story. I know it’s hard to get everything right. I want every author to do well, to write more, and to be happy. Please believe that most people out there think the same. Well! That’s “Canon.” Stay-tuned for its close cousin, “Research,” up next post, and in the meantime, let me know what you think. *So, let’s be really picky. What Carlyle actually said–far less pithily– was, “‘Genius’ (which means transcendent capacity of taking trouble, first of all)….” in his History of Frederick the Great. ***Not a value judgment, either way. But I assume you want to inspire the type of devotion that fuels a thousand Tumblrs. †Ok, so this bit of advice was actually inspired by several actual events in the romance-writing community. But it’s also very standard. I was very fortunate, in my first few months of Sherlockian fascination, to light upon some excellent pastiches. I do not doubt that they served to plunge me deeper into obsession than I otherwise might have gone. Although Doyle’s original stories and novels bear up well under repeated readings, with nuances that–as with all the best literature–appear and change with the reader’s own experience, Holmesian fiction allows writers to explore aspects of 221B of which Doyle afforded us only the barest glimpse. We get to ask, “What was it like?” “What if?” And, thanks to Watson’s notorious lack of attention to the proper details (ladies’ dresses lovingly described, dates mangled beyond recognition), we also can speculate as to what really happened. The Veiled Detective tackles each of these questions–most particularly the last. It was perhaps the second or third pastiche I ever read, and while I’ve heard many people (rightly) list Mr. Davies’ The Tangled Skein and The Shadow of the Rat among their favorites, hardly anyone seems to recognize The Veiled Detective when I bring it up. This review will, I hope, remedy the situation. Even at that early stage of my acquaintance with Holmes’ Boswell, I read that–and no doubt re-read it–with a sense of indignation. “That’s not his name. Honestly, people, get it right, it’s….” You get the picture. That’s right. Court martial. Drunk on duty. No jezail bullet, anywhere. Three months in a Kandahar gaol, no enteric fever. Drummed out. No army pension. Still no kith nor kin in England, though. Absolutely nothing at all. Look at it this way: At least we now know why no one can find Watson or Murray in the lists of soldiers at Maiwand. Mystery solved! No worries about Holmes, though. Holmes is the same. He’s younger, living on Montague Street, trying to make a go of the whole “consulting detective” thing. Here he is, foiling a safe-cracking team by tricking them into hiring him as a “lookout.” Alert them to the police, alert the police to them–just semantics, in the end. Scotland Yard doesn’t pay, unfortunately, nor is he getting the challenges his mind requires, but at least he’s got enough for the cocaine bottle. He suggests to Lestrade that the criminals he’s bringing in are just minor operatives in a larger enterprise, but Lestrade doesn’t believe him. He believes him even less when Holmes says he suspects someone is toying with him, testing him, targeting him in particular. It makes the detective’s work more interesting, however, and he’s excited to (finally!) find the occasional case which stretches his skills. The letter-writer takes snuff and wears a large ring, he tells his client. He is a much better cracksman than one might think. Moriarty appreciates that skill, and the note. In return, he gives Holmes a new flat, complete with landlady and flatmate. Alone on the steamship Orontes,** John Walker finds his court-martial has made the papers and everyone seems to know who he is and what he has done. They treat him accordingly. He contemplates going overboard more than once, and is only saved by the appearance of the well-dressed, sympathetic Alexander Reed, who confides to Walker that he, too, was once in the exact same position, but now has a happy, prosperous life. This, and (again) brandy, is all it takes for Walker to unburden himself to the former Captain for hours in the ship’s bar, and by the time the Orontes docks, the doctor hopes his confidante might help him secure employment. Reed does occasional “recruiting;” there just might be a special position for Walker within his firm. Reed’s boss agrees. He’s been looking for a man like Walker, so he offers him a simple proposition: take the job, stay alive. So it is that Walker, cloaked in a new name and heroic backstory, finds himself at the Criterion Bar, meeting an old Bart’s colleague, Stamford, who will be able to pay off his most recent gambling debts after he introduces Walker/Watson to the odd duck who beats corpses and devises tests for haemoglobin in the lab. The man should be looking for lodgings instead, seeing as his Montague street landlord has unaccountably evicted him. 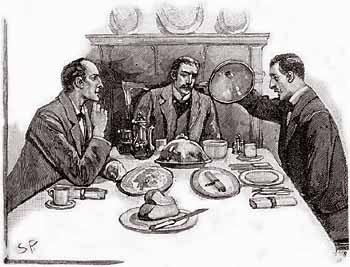 *** Holmes’ situation is desperate enough that he’s happy to take the rooms Stamford suggested, with the wounded veteran the suddenly handy Stamford just happened to run into; after all, the man has normal bachelor vices and is all right with the violin, as long as it isn’t played badly. Now he has a nice set of rooms, a sounding-board, and Watson…well, Watson has someone fascinating to observe and follow around on cases and write about…. The lonely genius Moriarty, for his part, now has both a worthy opponent and someone in the enemy camp. With the right jerks on the strings, he can even make Watson perform acts of sabotage and (further) betrayal if necessary. It’s the perfect arrangement, really. What could possibly go wrong? And so, Stamford has the wherewithal to gamble another day…. ..many of the details of this case escaped me, as most of my thoughts were full of Mary. The published version of this investigation…had perhaps more inaccurate passages and invented moments than nearly any other bearing my name. Other stories, Watson says, were embellished to make them longer and more interesting. All that Alkali plains drama, for instance. Another, in particular, was changed to protect Holmes from prosecution for something rather more complex than breaking and entering. The detective’s willingness to overstep the law in search of justice, we find, was always a part of his makeup. Davies does a wonderful job of reimagining Holmes’ and Watson’s adventures in this slightly bent world, but he does an even more masterful job with the people in it. Moriarty, Moran, Reed, and the redoubtable Scoular (with whom Holmes actually has the brilliant exchange Watson gives Moriarty in FINA) are fascinating, in the way of all poisonous snakes. You won’t be able to look away. Minor characters, such as Mrs. Hudson (who is not exactly as you remember her), Mary, Stamford, and Lestrade are handled with depth, sensitivity, and occasional humor, yet are not permitted to clutter the stage. As for Holmes and Watson themselves…. Where Doyle only allows hints of their inner lives to show through, Davies pokes at these hidden fires, making them blaze brilliantly through the grate. The Veiled Detective is written as an omniscient third-person/Walker’s journal combination, which allows the author to compensate for the doctor’s narrative deficiencies, and the fact that he cannot be in two places at once. Watson is the loyal, responsible, emotional romantic we love from canon, albeit a little more perceptive and less admiring than he portrays himself in the stories. For example, while he is still quick to take offense at some of Holmes’ more condescending pronouncements, he is eventually able to see the intent behind them, and to take his share of the blame in their disagreements. Unfortunately, the same virtues which make him the most faithful friend in literature also lead him to a moment of moral failure which ultimately so compromises him that he cannot even live under his own name. Yet where a weaker man (say, Reed) might throw up his hands and exclaim, “All right, then I’ll go to Hell!”††† Walker never allows his circumstances to change his core decency. If, at the end of the book, he feels transformed, the reader knows that he’s really just been refined. As I flip back through my notes and my now-completely inked-up copy of this book, checking to see if there’s something I’ve missed, I’m struck again by how layered this story is, and how much more I got out of a second reading than I did the first. It takes skill to take a conceit that changes a familiar, much-loved world–“what if John Watson were not who he claimed to be?”–and then to use that statement, with all that logically follows, to illuminate that world instead. You need to lift the veil and take a look. So, have I convinced you? Or not? First commenter wins a copy! The Veiled Detective is available both online (print and e-book) and in traditional bricks-and-mortar bookshops. David Stuart Davies is a well-known and well-respected Holmesian who has written several well-received novels featuring the Great Detective, as well as a play (“Sherlock Holmes: The Last Act”), and two books on Jeremy Brett and the Granada Holmes series, Bending the Willow and Starring Sherlock Holmes. I could not find an author’s website for him, but he is on Twitter. * This version of The Veiled Detective is part of Titan Books’ growing collection, “The Further Adventures of Sherlock Holmes,” which is happily reprinting some of the better pastiche/Sherlockian fiction out there. Veiled was previously published in 2004. **Of course, we all know that at this point in time, the Orontes was serving as a troopship, but Walker, being cashiered, would not be sailing on one of those, so the ship’s purpose is transformed. Others may question Holmes and Watson meeting in March in this book, when tradition (and a Plaque) have them meeting in January of 1881. STUD dates from March of that year, however, and since it was their first case together, the March date is not an unreasonable assumption. The only problem date I found was that the Battle of Maiwand is said to have occurred on June 27, 1880, when it actually took place on July 27th of that year. Because Davies’ other details are so scrupulously handled, I have to wonder if this is just a typographical error. ***Well, 12 sovereigns may have been involved. And if he hadn’t taken them, I’m sure he could have been otherwise persuaded. †Sound familiar, BBC Sherlock fans? I swear, when I saw Mycroft in the warehouse scene, offering John money to spy on Sherlock, I was as sure as anyone that he was Moriarty, and that Moffatt and Gattiss were referencing this book. I may have squealed some. †† Primarily “A Study in Scarlet,” and “The Final Problem,” although others, such as “The Sign of the Four” and “The Greek Interpreter” are alluded to. ‡Proverbs 18:24. It applies very well in this instance, actually. Greenberg, Martin H., Jon Lellenberg, and Daniel Stashower. Ghosts in Baker Street: New Tales of Sherlock Holmes. NY: Carroll and Graf, 2006. Holmes is losing patience with all of your vampire nonsense, client. Ok, we all know it, so let’s repeat it together: “The world is big enough for us. No ghosts need apply.”* If BBC’s Sherlock wants to get in a little canon/crap telly moment, all they have to do is show Sherlock, perched on his chair, yelling at one of those ubiquitous reality ghost-hunting programs–about dust,mirrors, how the bedclothes didn’t move naturally and five reasons why everyone should know that Derek guy is obviously a fake. As several authors in this anthology point out, Sir Arthur had the artistic integrity not to have his most famous character take on his own Spiritualist beliefs in some Dartmoor epiphany. Sherlock Holmes never sought an answer via supernatural methods. 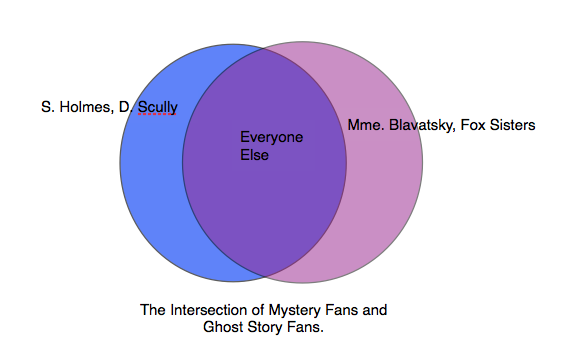 Still, the intersection of the set of mystery lovers and the set of ghost story aficionados is a large one, so it’s not surprising that, while Doyle let his detective approach the boundaries of the supernatural realm, there are other writers willing to toss him in completely. The authors and editors of Ghosts in Baker Street do not hesitate. Anthologies are tricky to review. You want to give the reader a clear idea of what the book contains, but you face three problems. First, short stories are easy to spoil. Second, in a large anthology, you don’t have space (and the reader doesn’t have time) to cover every story in detail. Third, stories can vary widely in quality, leading to the “I bought this for one good song” experience. I thought, therefore, that I’d try grading each story in the book, on the traditional 4-point scale, then averaging the grades to score the book as a whole. *** We’ll see how it goes. Most stories, happily, fall solidly in the “A” category. These include Gillian Linscott’s “The Adventure of the Late Orang Outang,” in which a pet’s love seems to transcend the grave, and academic rivalries prove deadly. Those familiar with the legends surrounding King Tut’s tomb will see parallels in “Sherlock Holmes and the Mummy’s Curse,” (H. Paul Jeffers). In this story, Watson’s old army buddy inadvertently draws the doctor and the detective into investigating whether the members of an Egyptian expedition are dropping dead due to coincidence…or a curse. We revisit a favorite Doyle theme–pacts gone wrong–as well as a phantom hound in Paula Cohen’s “The Adventure of the Dog in the Nighttime.” Irish literary history provides the backdrop for an atmospheric tale with folkloric accents, Michael Walsh’s “The Coole Park Problem.” How did William Butler Yeats, George Bernard Shaw, and even Sherlock Holmes come to reach new heights in their careers? Sir Arthur may agree that the fairy-folk were involved…you may reach a different conclusion. 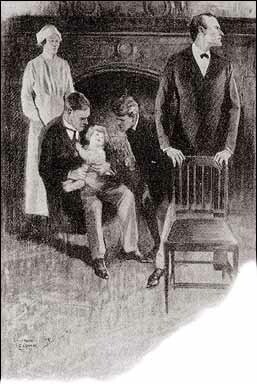 Finally, we get a Watson-only story, in a viscerally scary (even disturbing) tale, “Death in the East End.” Colin Bruce reveals a bit of the Watson family’s past, and the doctor himself learns one shouldn’t challenge the spirit world rashly. Each of these stories is told in decent “Watson-voice,” and contains plenty of cherished Doylean elements (breakfasts, stormy nights at 221B, deducing the client, bored Holmes). Some endings have natural explanations, while others are a little less cut-and-dried. You should find all of them enjoyable. Two stories earn a “B.” Jon L. Breen’s “The Adventure of the Librarian’s Ghost” starts out with a creepy, interesting premise (a ghost predicts national crises by throwing out books and marking passages in blood) but totters with an easily-guessed solution, and a bit of preachiness in the end. “The Adventure of the St. Marylebone Ghoul” (Bill Crider) also has fascinating elements: allusions to the George Edalji case,† the intersection of East and West, prejudice, and nasty discussions of grave-robbing and ghouls. Unfortunately, I didn’t find part of the solution believable. It was a little too convenient, disappointing after a terrific build-up. One story, and one story only, earned a “C.” Carolyn Wheat’s “A Scandal in Drury Lane, Or, the Vampire Trap,” has arguably the most gorgeous beginning in the book: an anonymous reminiscence of the Royal Theatre in Drury Lane which covers Restoration Comedy, the 18th century, and the early Regency, right up to the night of the fire which destroyed it on February 28, 1809. One gets the impression that this time, there may be no natural explanation, that we’re seeing with phantom eyes and hearing a phantom voice. The reader is ready for a haunting tale, and not just a tale of haunts. Unfortunately, that voice is stilled once we get to 221B (never to be heard again) and the experience is jarring. The premise is interesting: Holmes is called to the Royal Theatre to investigate bad omens which mysteriously appear, and a gray ghost who disappears, both threatening the current production and an actress’ sanity. Are the manifestations man-made, or are they clues to a long-ago murder? The Society of Psychical Research even makes an appearance. In the end, however, I found several avoidable inaccuracies which soured my opinion a bit. The Royal Theatre actually burned on February 24, 1809. Sir Henry Irving could not be, as Watson refers to him, “the late Sir Henry Irving” in 1896, as he didn’t die until 1905. And it was hard for me to believe that Sherlock Holmes, a master of complex disguises who made a particular study of London streets, was less familiar with the West End Theatre District than his flatmate. In the canon, Watson writes that “The stage lost a fine actor” when his friend took up detecting. Even if one discounts Baring-Gould’s notion that a young Holmes actually joined a theatre troupe, it seems natural to conclude he spent time backstage–and in the seats, enjoying opera and concerts. Finally, I found the explanation a little too elaborate, although you may disagree. These flaws, coupled with the complete atmospheric disconnect between the introduction and the body of the story, made it disappointing. Ghosts in Baker Street isn’t all chills, however. At the end of the book the editors include three non-fiction essays, all of which deserve “A’s.” Caleb Carr discusses Sherlock Holmes’ relationship to the nascent science of psychology in “Some Analytical Genius, No Doubt.” While Mr. Carr’s thoughts on why Doyle shied away from psychology (related to his troubled father), are interesting, I am not sure I agree. There are people who have a constitutional preference for the “hard sciences.” They want to be able to see, touch, smell, hear, and quantify. The physical world is where they feel most at home. Others don’t mind if things get, in my husband’s words, “squishy.” They gravitate more to the arts, the social sciences and yes, psychology–although I do wonder if Holmes was more comfortable once B.F. Skinner and behaviorism rolled around.†† Still, the article is interesting, and Carr’s final thoughts on the academic trend towards deconstruction and the canon are heartening. All in all, Ghosts in Baker Street is a solid collection of traditional stories, with enough scares for the ghost story lover and enough logic for the armchair detective. The prior stories would be worth the price of admission. There are, however, two more pieces, and I don’t think it’s exaggerating to call them spectacular. The first is a brief story by Daniel Stashower. Told from the viewpoint of HOUN’s escaped Notting Hill murderer, “Selden” is a tale of a bright young man, loyal to the Baskerville family, who goes to war in South Africa. Seriously injured, he encounters a kindly physician–an eye specialist–who consoles the soldiers with his belief that “our fallen comrades were not really dead…but only transferred to another place.”‡ Selden doesn’t follow them, however; he goes home, a morphine addict who commits a savage crime to obtain the drugs his body craves. The rest of his story is familiar to those who have read HOUN. Stashower, however, adds one dark, breathtaking twist, allowing the little boy who clutched his sister’s hand to find honor and redemption in the end. Finally, Loren Estleman demonstrates just what he means by “winning Holmes” in his story, “The Devil and Sherlock Holmes.” When a patient at St. Porphyry’s Hospital (specializing in the mentally ill) claims to be Satan, and terrible things start happening, Watson (who has been consulting there) asks his friend to look into the matter. Holmes is naturally skeptical, and challenges the man, “John Smith,” to prove his claims, particularly that of leaving the world and taking them all with him at midnight, Walpurgisnacht.‡‡ There’s something odd about the man. A strange affect, a palpable sense of menace. He knows thing about them he should not. He oozes through the page. There is nothing I love more than a Satanic smackdown, and Holmes is no cinema priest who’s lost his faith. He may not have had any faith to begin with. But when he’s taken to the pinnacle of the temple, he knows exactly what to do.‡‡‡ In these stories, both Estleman and Stashower take on the typical supernatural pastiche form and transcend it. Well, let’s average our grades, shall we? With a total of 48, dividing by 13 stories, we get 3.69, or 3.7, a high B and a respectable score for any anthology. 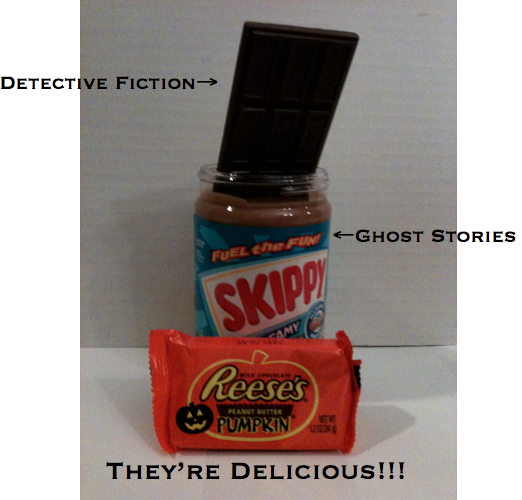 For those of you who like a little dark frisson in your detective story, Ghosts in Baker Street delivers. Ghosts in Baker Street is, unfortunately, currently out of print, although several of the stories have been reprinted elsewhere by now, and may be familiar to some. You can find a used copy of Ghosts online fairly easily. Check Amazon, Barnes & Noble, ABE and even eBay to find the book at a reasonable price. **Imagines Benedict Cumberbatch’s Sherlock doing this. Imagines it in detail for a very, very long time…. ***Yes, it is report card time at our house. How did you guess? † This is a case in which Sir Arthur Conan Doyle actually did a little detecting of his own. 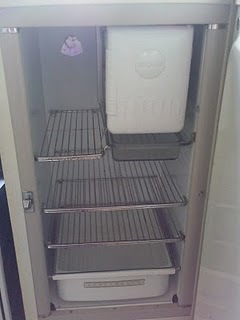 See http://www.siracd.com/life_case1.shtml for more detail. †† “Was.” See what I did there? ‡ Ghosts in Baker Street, p. 140. Can you guess who that might be? I have to admit that it took me a little bit of time to adjust my mental chronology of HOUN from Baring-Gould’s date of 1888 to sometime between 1901 and its publication in 1903 (I like the idea of Holmes investigating the Ripper murders while Watson is in Dartmoor). However, some chronological experts go with the later date, so the scene with ACD is plausible. ‡‡‡ A reference to Luke 4:9. Obviously I am not equating Christ and Sherlock Holmes. But Smith’s appeal to his intellect and his pride in the story constitute a very real temptation. Comments Off on Greenberg, Martin H., Jon Lellenberg, and Daniel Stashower. Ghosts in Baker Street: New Tales of Sherlock Holmes. NY: Carroll and Graf, 2006. Find and circle all of the women in this picture. 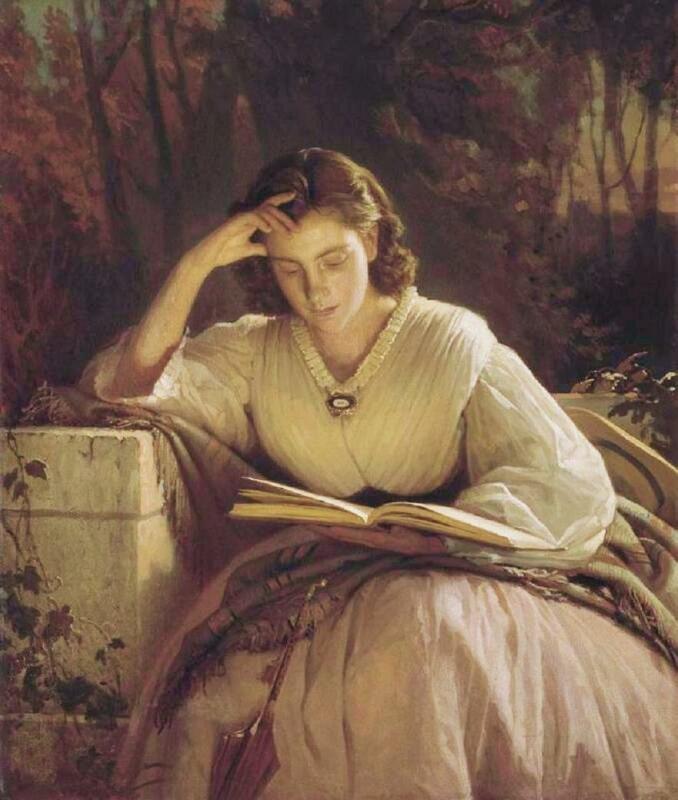 My Dear Watson will go down in blog history as “the book that sparked a marital spat on the way to church.”** And really, it’s no wonder, because the story itself is based on a controversial premise: What if Sherlock Holmes were really a woman? That is, a woman masquerading as a man. As you no doubt know, there are plenty of historical precedents for this. *** These women decided to live as men for varied motives: to obtain an education, to find a military spouse, to work in traditionally male occupations (such as “pirate”), or because they were what we would refer to today as “transgender.” Lucy Holmes’ choice is made first out of necessity, and then out of a desire to fulfill what she sees as her life’s mission: to seek out and combat evil in all its forms. This is not a choice she makes lightly. Until the age of fourteen, Lucy Holmes was just an awkward, bookish girl with an insatiable curiosity and an aptitude for everything that has nothing to do with practical homemaking. Her much older brother Mycroft is away at school, and she’s left alone with her parents: a meek, religious mother and a father who loves horses almost as much as he loves other women. Young Lucy is unaware of this predilection, however, until the night her mother accidentally falls downstairs after catching her father with yet another mistress. Shocked and shattered, Lucy accuses her father of murder, and flees to Mycroft’s rooms in Oxford. In order to stay there undetected, she cuts her hair and dresses as a boy. She’s able to live secretly in Christ Church college for nearly a year before she’s discovered and evicted. By that time, however, she’s managed to garner herself quite a scientific education, and the trauma of her experience has convinced her that, not only does she wish to avoid the subservient life of women like her mother, she also wants to root out wickedness. And the only way to engage that enemy on its own field, she firmly believes, is as a man. And it works for her. Obviously it works quite well, because as the novel begins, it’s 1903, she’s on the cusp of her 50th birthday, and has an active, prosperous career behind her. She’s not immune, however, to the traditional midlife meditations, however, and these take on a special urgency when Constance Moriarty bursts into 221B. Yes, Moriarty. A name that’s never a coincidence in the Sherlockian world.✝ The Napoleon of Crime, it seems, did not leave this world without issue, and his red-headed actress daughter now believes he never left this world at all. She’s received a sort of ransom note claiming he’s alive, and she wants to hire Sherlock Holmes to find him. Of course, it doesn’t take long for Holmes to realize there’s much more to this shocker than is readily apparent, and the murder of a young Irregular confirms her suspicions. It’s not long before she’s fighting for life as she’s known it for thirty-five years, and Watson is in hot pursuit of (yet another) bride. Ms. Bridges sets the adventure against the backdrop of Shakespearean tragedy (Macbeth), and by the time the final scene is played, each of the main characters’ lives is shattered by their fatal flaws. Because we all have them, don’t we? Those crevasses in our characters which threaten at times to swallow us the way Constance Moriarty claims the Swiss Alps swallowed her father. These flaws, or quirks, or struggles generally lie dormant until we’re forced to confront them by some catalyst. For fans of Sherlock Holmes pastiches, My Dear Watson is just such a catalyst. It’s a very well-written book which still challenges one to explore his or her own views of canonicity and world-building. These opinions (and they are only that, for all we may fervently espouse them as doctrine) will naturally vary reader by reader. Here, then, are mine. First, of course, is the issue of Lucy Holmes. For some, this will be an instant deal-breaker, and that’s fine.✝✝ I will confess that “gender-bending” is not really my thing. I like Holmes and Watson as men. However, pastiche is a playground, and I decided up front that Lucy Holmes would not be an issue for me. What matters, in the end, is whether or not the story is a good one, and whether or not it’s well-told. For me, the problems started at page one. There in the first paragraph, Ms. Holmes states that she has not been “an experienced writer of anything more substantial than mountains of hastily scribbled research notes.” Of course (and I’ll be honest–I had to check), she was still to write “The Adventure of the Blanched Soldier”(assuming she wrote it long after it occurred in 1903) and “The Adventure of the Lion’s Mane,” (1907) but this statement still leaves the monographs unaccounted for, as well as the magazine article Watson disparages in A Study in Scarlet, “The Book of Life.” Other canonical problems follow, and unfortunately, they’re the kind that make Holmes’ ability to pass as a woman while living intimately with her physician friend seem implausible. 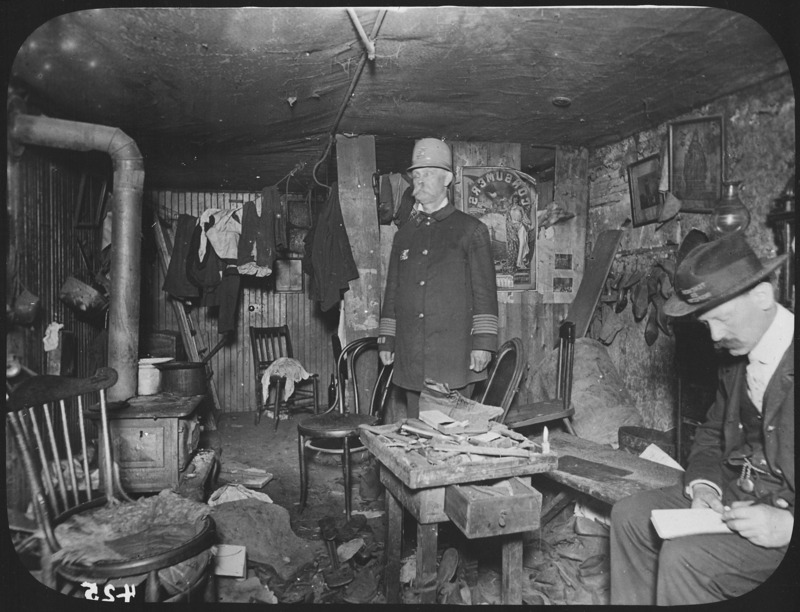 Ms. Holmes claims, for example, that she cared for her own medical needs, and that she never went to the baths. “The Adventure of the Illustrious Client” (Baring-Gould date, 1902) would indicate otherwise. Of course most pastiches contain some canonical error or other, and I’m certainly not well-versed enough to catch them all.✝✝✝ My Dear Watson also posed some believability problems for me. It was hard to accept that Lucy could remain hidden in college rooms for any length of time at all, even if she were dressing as a boy. The chemistry equipment Mycroft provided her would alert others to her presence if nothing else. The fact that Dr. Watson and Holmes are such close friends raises more plausibility concerns. The man’s a physician. A physician who knows and likes women. And while he may not seem to enjoy doctoring all that much, he proudly claims, in The Sign of Four, “an experience of women over many nations and three continents.” He’s been married, for the purposes of this book, three times. Because this site should be suitable for all ages, let’s just say that there are aspects of female life it would be nearly impossible to hide from an experienced male roommate, much less a female housekeeper, for so many years. In the book, Watson notices that his friend has no need to shave after two days. Surely, after all of their trips together, he would have noticed this before. 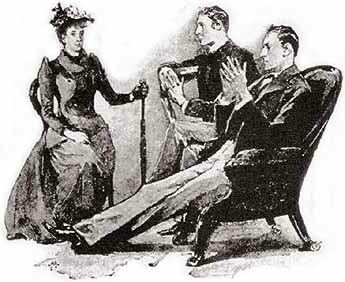 Likewise, Holmes’ drug use, which is alluded to in the book, would have, on occasion, put her in positions in which she would not have full control over herself, making discovery more likely. Couple this with a physician’s knowledge of female anatomy (not just the obvious parts), and it’s difficult to believe that Watson has never figured it out. The author tries to salvage this with what amounts to his ability to see and not observe, but physicians do observe others’ physical characteristics, and I can’t imagine why, once his curiosity was piqued, he would not investigate. One could argue, however, that this Watson is a bit of a…well, isn’t the famous appellation “Boobus britannicus”? Basically, this is the Watson who likes jam.‡ Although he is very funny at times, he’s really out of character, and it’s hard to believe that even a man who needs romance is able to pursue another woman so ardently when his last wife (and their miscarried infant) is barely cold in the grave. Likewise, when cocaine poisoning forces Holmes to revisit her previous experience with withdrawal, Watson leaves her with a French couple who are basically strangers so he can pursue the mystery back in London. Holmes doesn’t send him; it’s his idea, and one which seems completely antithetical to his character. The French couple–a retired concert violinist and his wife, who have lost their only child–seem to have no real purpose in the story except to serve as Holmes’ caretakers in Watson’s stead, to make sure he doesn’t undress his raving friend. There’s an amusing bit with a motorcar, a sweet bit with a violin, and they take in one of the culprit’s victims in the end, but I kept waiting for them to prove untrustworthy, and found them superfluous when they did not. Other secondary characters, such as Constance Moriarty’s lover, Geoffrey Wickham, are well-drawn and interesting. And Holmes? After a slightly rough start with the young Lucy, Ms. Bridge’s Sherlock Holmes is just what one might expect: she’s impatient, clever, forthright, and has a sharp tongue. There are the familiar canonical phrases, with just enough variation to make them original. However, Lucy Holmes has a depth and capacity for self-examination that I didn’t foresee. Although she’s read Mary Wollstonecraft’s Vindication of the Rights of Woman, she chose her path for more personal than political reasons, and her consequences have been personal as well. Middle age has become, inevitably, a time of uncomfortable reflection, and all she knew in her thirties no longer seems as certain. She has that typically feminine moment of seeing her mother in the mirror, the bitterly common dilemma that the one she loves doesn’t know she’s alive, and the universally human realization that, in making her choices, she may well have rendered their alternatives impossible. For the best of all possible reasons, she’s built her life on a fundamental deception; her attempts to grapple with this decision and its fallout are truly poignant. This brings us back to that argument in the car. My husband, who is not a Sherlockian, argued that, if the story is good, canon shouldn’t matter. I had more difficulty reconciling a very well-written story full of depth and insight with the plausibility problems, some of which contradict canon. As I told my spouse, when a group of people call the works of their favorite author “The Canon,” they’re sending a not-so-subtle message. Where to put the emphasis? That was my problem. Conan Doyle had the answer. 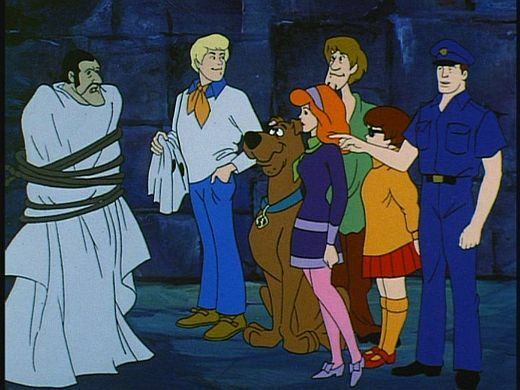 His “The Adventure of the Creeping Man” has to be one of the goofier Holmes stories. In it, an aging professor hoping to impress his young fiancée injects himself with ape serum and ends up becoming ape-like himself. No, really. But behind the implausible scenario is a touching glimpse of the unpleasant realities of aging. Making Sherlock Holmes a woman seems outlandish, but in playing “what if,” Ms. Bridges is able to make us think about issues ranging from “the thin line between good and evil,” to what it really meant for the Great Detective to push aside “the softer emotions.” There is gain, and there is loss, and who’s to say which is greater in the end? My Dear Watson is available from your usual online suspects, as well as the MX Publishing site and the Baker Street Babes’ online bookstore. Ms. Bridges also writes popular children’s books. 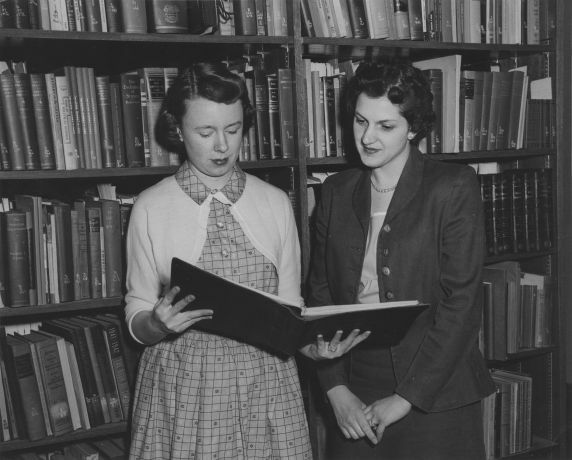 You can learn more about her, and her books, at http://www.margaretparkbridges.com/. I’m curious about your views on this book, canonicity, gender-bending, etc. Be the first commenter and win a copy of My Dear Watson, or the upcoming anthology currently being prepared in support of the Undershaw Preservation Trust. *My Dear Watson has a very interesting history. It was, in fact, published in Japan in 1992, after it impressed judges in an international competition for unpublished mystery authors (an experience you can read about here: http://www.margaretparkbridges.com/writing-backwards/). New York publishers, however, are notoriously hard to please, so the book languished almost two decades before finding a new home at MX. **It devolved into something like this. Brett: “You’re too sensitive.” Leah: “You won’t ever let me score a point.” Ultimate outcome: stalemate, as usual. ***Examples include: Billy Tipton, James Barry, Albert Cashier, James Gray, and pirate Anne Bonny. If you do a web search for these (and others), you’ll find that most of them are fairly easy to “see through.” Several, however, are not. ✝Unless, say, it’s your last name. And if it is–how cool! ✝✝✝ In fact, a couple of items I initially believed were errors proved, upon inspection, to be correct, or open to interpretation. ‡See http://harkavagrant.com/index.php?id=210 ; “Boobus britannicus” was Edmund L. Pearson’s description of Watson in 1932.